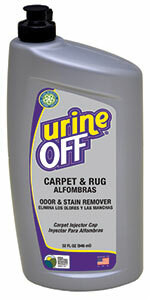 Designed specifically for stains on carpet, furniture and bedding. Penetrates through the outer upholstery of furniture into the foam core. Injects Urine Off down through the mattress following the path of the urine, through layers of upholstery and onto the coil springs.